The pro-Islamic State hacking group known as the “Islamic State Hacking Division” (ISHD) disseminated a list of the names and addresses of 76 alleged U.S. military drone personnel and threatened to leak “secret intelligence” obtained from the Ministry of Defence in London, UK. 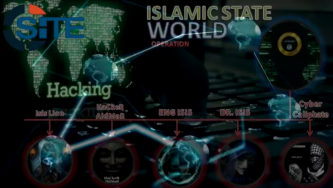 The “Cyber Caliphate,” group of pro-Islamic State (IS) hackers also known as the “Islamic Cyber Army” (ICA) or “Islamic State Hacking Division,” distributed a new video and malware disguised as the previously-released second “kill list” of U.S. military personnel. 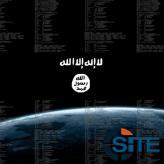 The pro-Islamic State (IS) hacking group “Islamic State Hacking Division” (ISHD) has defaced a website and used it to leak the personal information of nearly 1500 US Military and Government personnel. 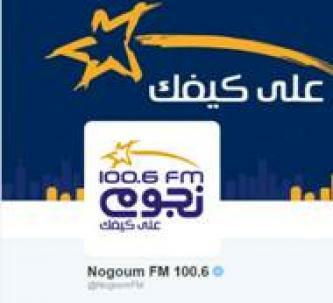 The “Islamic State Hacking Division” (ISHD) took over the Twitter account of Egypt’s most popular radio station, Nogoum FM, and posted messages praising the Islamic State. 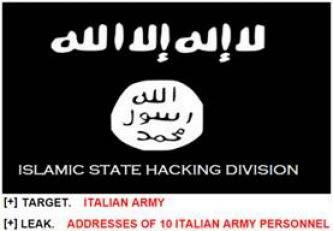 An alleged group using the alias “Islamic State Hacking Division” released the purported addresses of 100 U.S.